This post includes affiliate links. If you click on one of those links and then make a purchase, I will earn a small commission. Christmas decorations are expensive. Well, any type of decor, really. But we all know I'm not down to spend hundreds of dollars on anything. 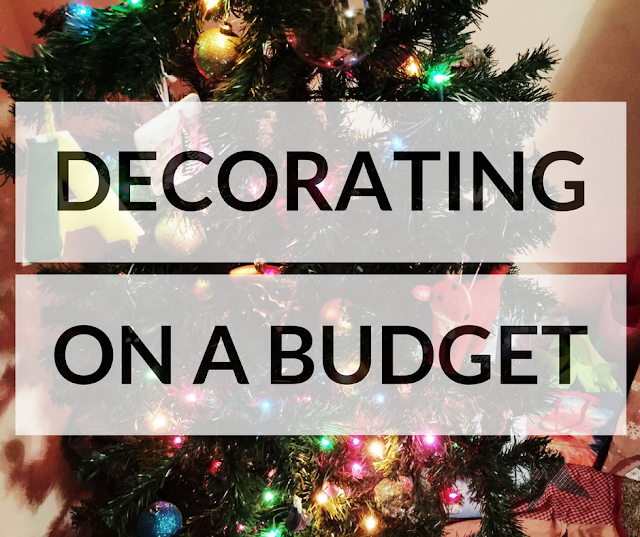 So, how do I decorate for the holidays on a budget? I've listed a few tips below that I use to decorate frugally. 1. Shop Black Friday sales. When you think of Black Friday, buying gifts for others (or yourself) is probably what comes to mind. Toys, electronics, clothes, etc. But guess what. A ton of stores mark down their holiday decor (including trees and big items) on Black Friday. 2. Shop clearance and markdowns. Some stores, like Target, mark their holiday items to clearance before Christmas. My local Target has their holiday items marked down to 30% off, but this isn't active for all decor online, so check your local Target to see if they do early markdowns. (Christmas trees are half off online.) Don't forget the Dollar Spot, either! You can find the cutest holiday stuff there! 3. Thrift stores. I am an avid thrift-store girl (and have been since way before Macklemore - even though I am a huge fan of him!). My momma taught me to shop the right way, so I never pay full-price for non-necessities. Some favorites are the Goodwill and Salvation Army, but don't overlook local thrift shops. We have a wonderful local shop that often lets you fill a bag for $1-5. Sometimes you may have to dig, but I assure you it will be worth it when you find those perfect items. 4. Hand-me-downs. Do you have a family member or friend that updates their decorations regularly, getting rid of some older items? Ask them if you can take those items off their hands! 5. Repurposing. Maybe you have some outdated decorations. Style them in a new way, or incorporate them into a new style. Maybe you have some old garland that's broken up or in shorter pieces. Stuff it in a jar with twinkle lights, or lay out across your mantle or entryway table for a new look. Set of two gold nutcracker candle holders: yard sale for $2. Florals: Walmart for $4. Garland: who knows? Gold owl: Dollar Tree. 6. Use nature! 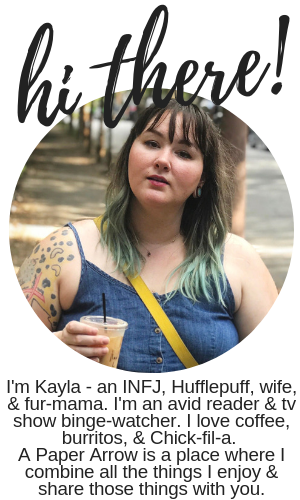 Girl, are you going to really pay $12 for a bag of pinecones? Don't do that. Collect large (dry) pinecones from your yard. You can throw them in a bowl for use as a centerpiece, or you can use them as ornaments (just add some fishing line or yarn to hang!). Use gold spray paint or glitter to give them a fun charm. 7. Shop for next year. The days after Christmas are the best time to buy Christmas decor. Sure, there may be some slim pickins, but let me tell you - you can get most of the decor for ups to 90% most places. I always buy ornaments after Christmas, but this is the perfect time to get lights and other cutesy things for the holidays next year! How do you make the most of your money when decorating for the holidays? Yeah, the cleanup is always the worst part! So I definitely understand not decorating. It's definitely something that helps put me in the spirit. Especially down here in the south, where there's hardly ever snow.